Parents and Guardians must note that this opera makes some reference to alcohol and there is a shooting and a murder that might be upsetting for the earlier years. 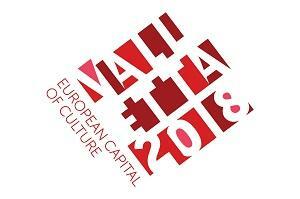 This is the fourth annual Teatru Manoel Youth Opera, produced through a match-funding initiative with the Valletta 2018 Foundation and as part of the Cultural Programme for Valletta 2018 European Capital of Culture. 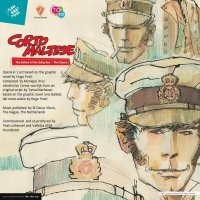 Swashbuckling pirates, damsels in distress, plots to thwart and mysteries to uncover – No, this is not The Pirates of the Caribbean or The Princess Bride, but instead the cult graphic novel series ‘Corto Maltese’ created by Hugo Pratt. A total of twenty-nine stories were written and published about Corto Maltese – beginning with The Ballad of the Salty Sea which first appeared in the ‘Sgt. Kirk’ magazine in 1967. Later issued in book format, this tale is heralded as Pratt’s epic masterpiece weaving together plot and characters intricately within an illustrative comic format; one of the first representations of a literary comic strip. The Ballad of the Salty Sea was originally released in Italian and later translated into French. There is much debate about the syntax and tone depicted in translations accurately managing to convey the correct idiosyncrasies, personality and humour of the characters and relationships. Our story is set around a collection of islands in Papua New Guinea from 1913 – 1915 at the outset of World War I. We meet Corto Maltese marooned on a raft in the middle of the pacific ocean where he is surreptitiously saved by fellow pirate Captain Rasputin and introduced to Pandora and her cousin Cain who are both prisoners on board, held for ransom. He assumes the role of their protector. Rasputin is trading coal with the German Navy, headed by Lt. Slütter who falls immediately in love with hostage Pandora. They are set upon with further threats of gunfire – seemingly from the elusive ‘Monk’ and land upon the island Escondida where the showdown begins. Can Corto save the day? The background context of the story is heavily politicised in the context of the time – featuring clear, direct reference to the British and German persuasions in the war but somehow serves to put this fantasy action-adventure in a real place and time; thus giving the central characters a sense of non-fiction reality. Corto Maltese was not originally written as the protagonist in the series, and in fact is somewhat usurped by Pandora and Rasputin in The Ballad of the Salty Sea; however, his character shone through as an atypical almost ‘anti-hero’: imperfect, curious, and a risk-taker. Corto Maltese was resurrected and developed by Pratt in 1970 to became the famous character we know today. 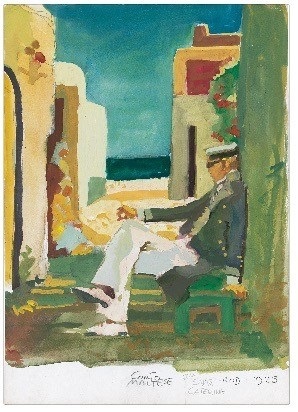 Readers learned that Corto was born in Valletta in 1887, the son of a Gibraltan gypsy – inheriting Mediterranean looks - and a Cornish sailor – instilled with a sense of exploration and adventure. 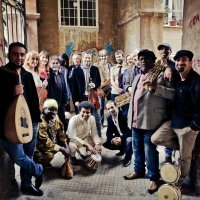 Unrest lies with the fact the iconic Corto Maltese never returned home to Malta in the graphic novel series, and so, Teatru Manoel, Toi Toi and Valletta 2018 Foundation are bringing Corto Maltese home to Valletta in September 2018 through the commission of a brand new opera work, specifically written for Malta in the year as European Capital City of Cultur.e The opera will be performed by Teatru Manoel Youth Opera and guests in the beautiful Teatru Manoel on September 20th and 22nd 2018.